Nestled on a hillside, in a place called Knowledge, is the little town of Alphabet. The people there are called Letters. The Letters spend almost all their time making words. On the other side of the hill is another little town. The people there are called Numbers. Although there were ten Numbers in the town, nobody took any notice of the Number Zero because she didn’t amount to anything. One day, while walking alone in the woods, Zero saw someone approaching, riding a white horse. “To see what’s on the other side,” Spot replied. “Haven’t you ever wondered what’s on the other side of the hill?” said Spot. “I’ve never thought about it,” Zero replied. “Would you like to come and see?” Spot asked. Zero the Number and Spot the Dot were soon on their way to the top of the hill. “Tell me, Miss Zero, how many Numbers are there in your town?” asked Spot. “Everybody amounts to something. It’s up to each one of us to find out what it is,” said Spot. Zero thought about that on the way up the hill. When they reached the top, she was astonished to see another little town on the other side of the hill. “We shall soon see,” said Spot, directing the horse down the other side of the hill. The people of the town were delighted to meet them. They had never seen a Number or a Dot before. “Thank you,” said Spot. “Are there many Letters in the town of Alphabet?” Spot asked. “Miss Zero is from the town of Numbers. Perhaps she can teach you to count,” Spot suggested. Zero began to teach the Letters to count, but she could only count to nine and there were many more Letters to count. Zero had an idea. “By joining Numbers together just like Letters do to make words, we can make new Numbers as well,” she said. “A splendid idea,” said the letter A, clapping his hands. Letters and Numbers became great friends, and they learned from each other. Numbers taught the Letters to count and Letters taught the Numbers to read. The place of Knowledge began to grow. New words were created every day and new numbers too. Zero became a hero and a very important Number. But soon there were too many words and numbers. Where were they going to put them? Zero and Spot and some Letters had a thinking meeting to find a way to solve the problem. They decided to make new homes for words and numbers and call them Books. And the books would stand side by side in buildings called Libraries. But that was not the end of it. Books of Knowledge were sent to other places as well. Soon Libraries were built all over the world. Now, people everywhere love to visit Libraries to see what’s inside the wonderful books. Every day new ideas are formed and new discoveries are made and put into books. 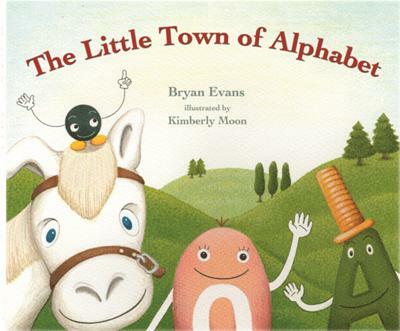 But the most important discovery of all began in the little town of Alphabet. Reading is most important for that is how great treasures are discovered. Letters and Numbers are very important in the Libraries of Knowledge. But Spot the Dot is the most famous of all, for he has a place in every book in the history of Knowledge. And all this came about because he wanted to see what was on the other side of the hill. wowie zowie nice story how does u think of it?? I LOVE reading this to my nephew. I don't have children of my own but when I do I will read it to them too. Great story! What an innovative way to share this story! It offers a lot for a parent/grandparent or older child to share with a little one. The internet can read you a story! Whimsical yet delivers an important educactional concept. You might want to consider giving Zero and Spot a little more personality. Just an idea - it's cute as is. Thank you for your kind words and your thoughts. I think we're all winners here. Such a wonderful way to impress the importance of both math and reading on young people. I think you could have taken your story one step further and added how zero and dot can be used to make bigger and smaller numbers. Perhaps, that's another book you could write emphasizing the importance of the decimal. Even though I shall be an entrant in this competition, I loved your story and hope it gets selected as a winner. I do love the illustrations as well! I think this web site will be one way to get your work seen, if not by a publisher then at least by those who will love to read the stories. I've been thinking lately that many writers should take things into their own hands and sell their writing through e-books, because many times readers like what publishers pass by. And with the proliferation of the iPad, Kindle, Sony Readers, Nooks, etc. many kids are going to be reading electronically anyway. Thank you, Gary. Kimberly Moon's wonderful illustrations complement the story so well. Some of them are featured in a book trailer for 'The Little Town of Alphabet' on You Tube. I hope a suitable publisher will also share your views. What a cute way to pose how words and numbers go together. It paints a picture in the mind easy for a child to understand.